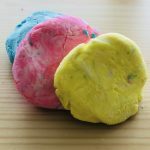 Make your kids bath time super extra fun with this DIY Play Dough Bath Soap 3 Ingredients Only idea. Oh, and it’s also completely MESS FREE! My kids love playing with play dough but they make a horrible mess every single time. Play dough ends up everywhere in the house! And it really is a pain to clean it. 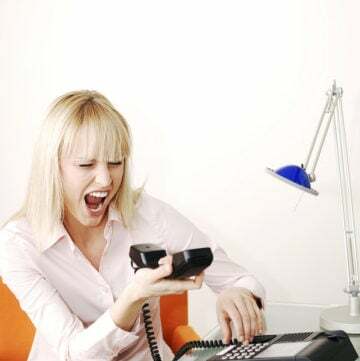 Do you have the same problem and need a solution? This is it! Bath time play dough is the answer. Your kids can make their favorite pieces of art while taking a bath. And the best part is you don’t have to worry about cleaning the entire house later. I think this easy DIY idea is GENIUS. Now my kids can play with play dough and don’t make a mess at all. Clever, useful and fun bath time activity! Your kids will have so much fun making different shapes and playing with the dough while you know it is safe (you use natural ingredients), mess-free, and it also gets them cleaned. 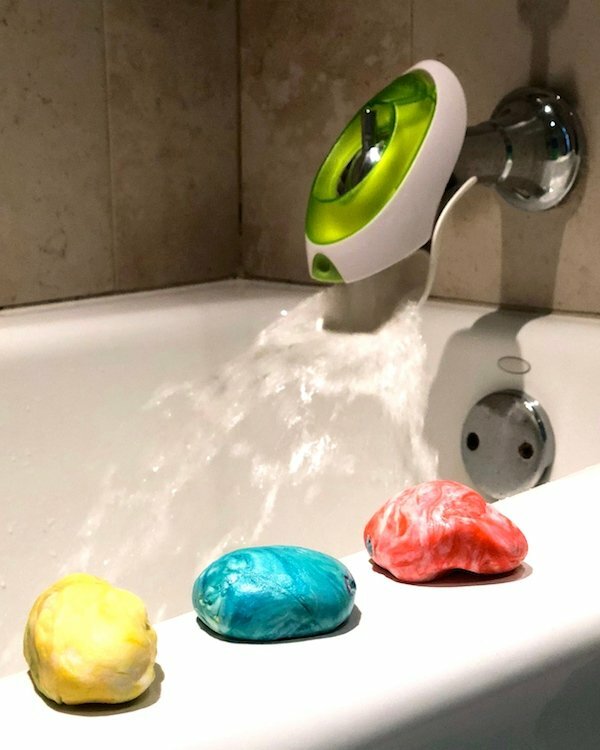 Yes, after you play with it, you can use it as a soap. Win! Win! You can make it with only 3 ingredients: Corn Starch , Body Wash (this is the one I used for this recipe), and Coconut Oil. You can choose any body wash you want. I prefer natural products for my family. If you use a fragrance free body wash, you can also add your favorite essential oils. I like to use Lavender for night time because it is very relaxing. A relaxing bath is great for children and helps them sleep better. The coconut oil will also leave their skins super soft. 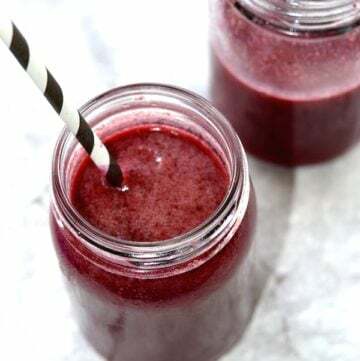 You can also make it extra fun (totally optional), by adding natural food coloring. Choose your children’s favorite colors. Involve your kids in the process and make it extra fun. My kids had a blast making their own play dough bath soap! 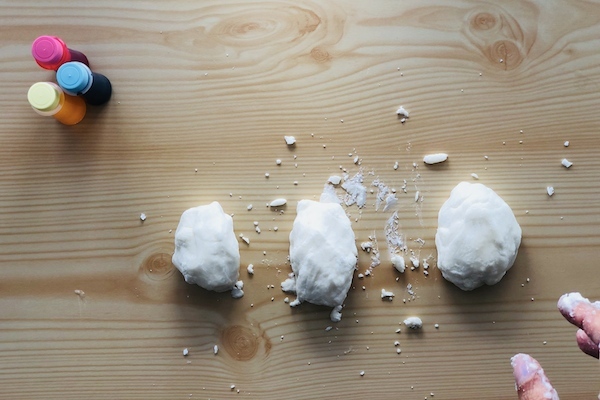 Make sure you store your DIY play dough in an airtight container until bathtime to avoid soap drying out. In case this happens, add a little more body wash and mix the dough again. I give my kids a little piece of each color each time they want to play with it in the bathtub. 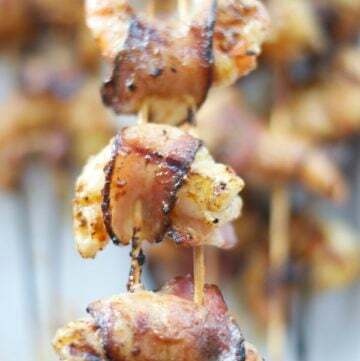 This recipe will last about a week. 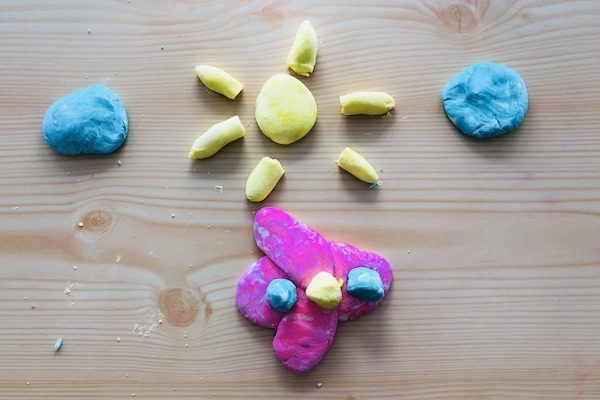 Simple, fun, and entertaining DIY play dough idea. Give it a try, I’m sure your kids will also love it. If you are interested in other fun bath time ideas, please check out my Detox Bath Bombs For Kids. Easy DIY play dough bath soap idea. Super fun and entertaining bath time activity for kids. Made with only 3 ingredients. Add a little corn starch is your dough is too liquid or a little more body wash if the dough is too solid. Mix well until you get the right texture. It should be very soft and moldable. You can add a few drops of your favorite essential oil if you use a fragrance free body wash. You can also add a few drops of natural food coloring to make different colors. 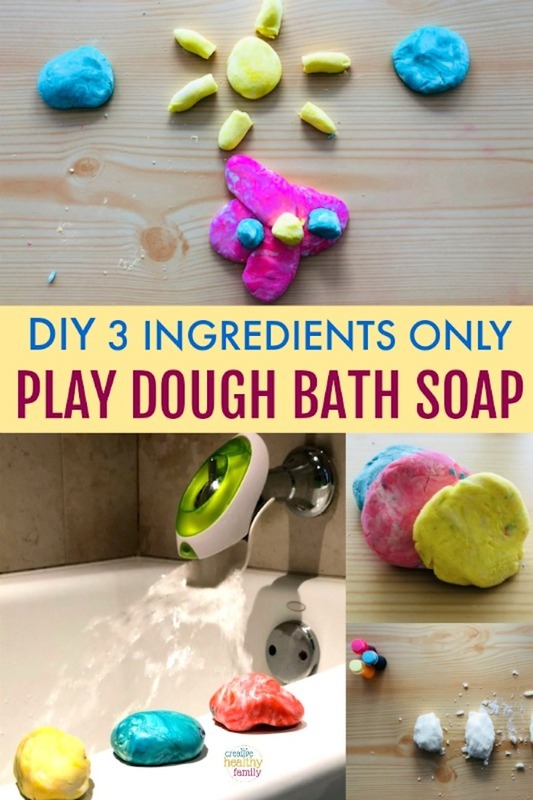 This DIY Play Dough Bath Soap post contains affiliate links. The products linked are the products I use and recommend. 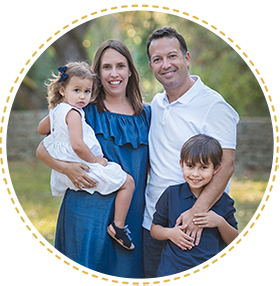 If you purchase a product through an affiliate link, your cost will be the same but Creative Healthy Family will automatically receive a small commission. Your support is greatly appreciated.